National Grating fiberglass Square mesh panels are ideal for decking, walkway, and flooring applications in corrosive environments. 1.5″ Square Mesh Grating is the long-lasting solution for rugged applications. Steel and aluminum grating have considerable down-sides; they corrode, wear down quickly, cause maintenance headaches and downtimes, and are costly to install. 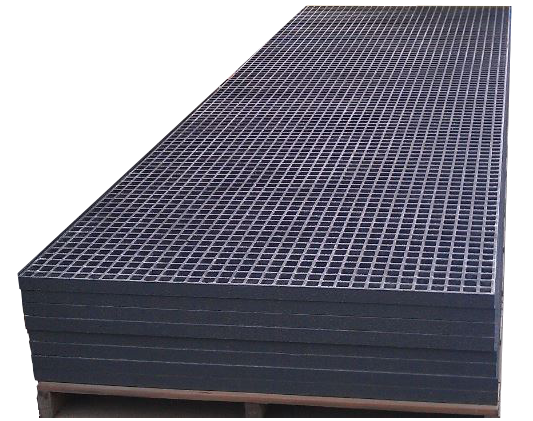 National Grating high-strength molded FRP grating can be designed and used like traditional metal grates, but with all the many benefits of fiberglass. 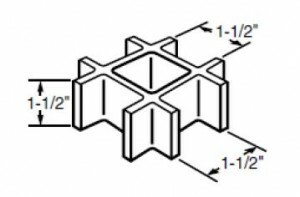 1-1/2″ x 1-1/2″ Square FRP grating is especially useful for replacing steel grating or aluminum grating in corrosive environments or where other types of gratings require frequent replacements. For smaller mesh sizes check out our mini-mesh Fiberglass Grating. 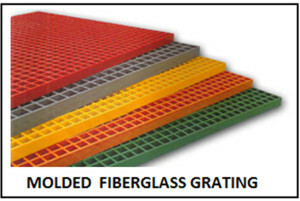 National Grating Molded Fiberglass is available in two standard resin systems. Each providing different levels of corrosion protection. Both resin systems meet Class 1 Flame Spread Rating per ASTM E-84 test standards. Molded FRP Mesh is available in 1″, 1-1/2″ and 2″ thick Panels. Standard Panel sizes are 3′ x 10′, 4′ x 8′, 4′ x 12′ and 5′ x 10′. We can cut down the panels to any size you like, or you can cut them yourself. Be sure to use a diamond-tip blade as a standard saw blade will dull very quickly. Call us at 1-877-984-7788 for a fabricated quote. 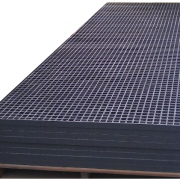 Fiberglass Square Mesh grating has the strength of steel, but it won’t corrode like steel can. A coarse, gritted epoxy coating enhances traction. FRP Mesh Panels are lightweight, easy to transport, and can be cut and fabricated using standard hand tools. The coated resin surface increases resistance to chemical corrosion and continuous UV exposure. 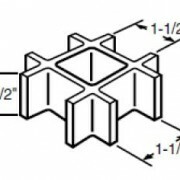 Not sure which type of grating is best for your application? Download our Grating Selection Chart use our Quick Quote Form. Molded Square Mesh or Pultruded Grating? 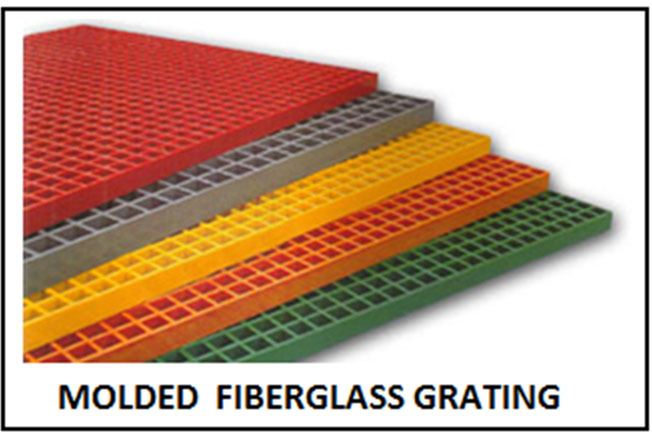 Call us at 1-877-984-7788 to speak with a National Grating FRP Specialist. You will be contacted within one business day. Guaranteed. New York: Buffalo, Rochester, Monroe, Yonkers, Westchester, Syracuse, and Albany. Our pricing and service experts are standing by to help to find the best product for your project. With many varieties in stock and expedited shipping, we can supply your project with mini-mesh fiberglass grating at the best possible price with the lowest freight charges. At National Grating we have over 27 years experience supplying Fiberglass Grating and Structural FRP products throughout New York State. We stock fiberglass grating and FRP structural products in our two warehouse locations in Pittsburgh, PA and Bristol, Va. We can ship next day to most New York counties including Brooklyn, Queens, Suffolk, Nassau and the Bronx. We want to be your supplier of Fiberglass Grating New York! Call us toll free at for competitive pricing and real-time inventory confirmation for FRP grating, stairs, railing, ladders, and flooring.